Thankfully, some sources are working to get us those quick mindfulness tips while giving us some background about the research and practice. Like Visions, a journal investigating wellness and mental health. 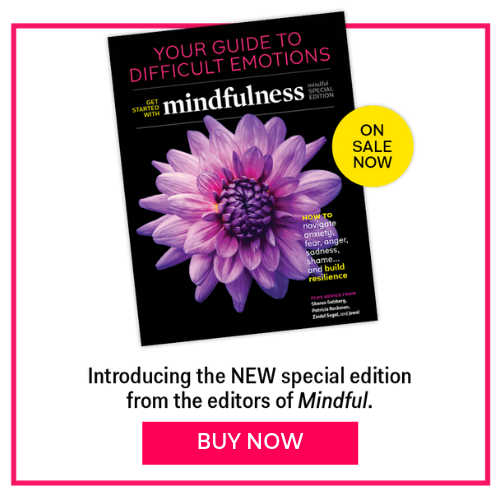 In its latest volume, the journal published a list of mindfulness tips, including a definition of mindfulness and a summary of its origins. The summary briefly documents the research, beginning with Jon Kabat-Zinn‘s early mindfulness research and the formation of Mindfulness-Based Stress Reduction (MBSR) to the beginnings of Mindfulness-Based Cognitive Therapy (MBCT). Additionally, there is mention of the patient or practitioner perspective, such as what it feels like to sit with one’s thoughts and whether mindfulness is worthwhile. Don’t feel that you need to fill up all your time with doing. Take some time to simply be. When your mind wanders to thinking, gently bring it back to your breath.